According to the South African Depression and Anxiety Group (SADAG), one in four employees is diagnosed with depression. Our workforce is stressed and depressed mainly due to job shortages, economic instability and inflation rates. It’s important for workers to be mentally healthy in the workplace as depression has a negative impact on productivity, decision-making, memory, concentration and problem solving – all of which are important for getting work done properly. With less than 50% of employees fully engaged while at work, businesses are not flourishing the way they should. One of the biggest problems employees face is personal financial stress. If you, as an employer, can help your employees overcome personal financial challenges, you will experience more success in your business. What are the signs of a financially stressed employee? If an employee is stressed, they may show a lack of focus and interest at work, leading them to bad decision-making and the delivery of poor work quality. This can be as a result of the inability to sleep, eat properly and live a balanced lifestyle overall. An analysis of data from 40 000 households found that a third of employees who are financially stressed reported difficulty sleeping. Your business depends on the productivity of your workforce. So, if an employee lacks in productivity, it could affect your business negatively. If an employee is preoccupied with financial stress, they may not be able to focus on any task at hand. Stress or a financial emergency may demotivate an employee to attend work. Also, because stress takes a toll on health, a stressed-out employee may be taking a lot of sick days. If an employee is desperate for more money, they may constantly ask for a salary increase. If an employee is approaching you for payslips or asking you to sign proof of employment documents to prove they are eligible for personal loans, this is an indicator that they are facing financial issues. They may lack proper financial planning and be living above their means, which is causing them to get further and further into debt. It’s difficult to act rationally and calmly at work when there’s so much stress beyond the workplace. If an employee is continuously complaining at work and causing issues among your other employees, it may be because they are stressed about money. How can you, as an employer, help financially stressed employees? Make sure you meet with each employee regularly to find out if they are managing at work. Employees need to realise that you have their backs, but they also need to know what is expected of them in the workplace. Employees should look after their bodies and minds by eating well, exercising regularly, sleeping enough and managing their stress effectively. Encourage wellness programs within the office and provide tools to help your employees establish a balanced lifestyle. For example: consider investing in Fitbits for all your employees to encourage an active lifestyle. Set up saving schemes and future benefits for employees to ensure their futures are financially stable. Debt can become the biggest stress for employees. It hinders their ability to manage their money effectively and save for a better future. Debt counselling can help employees change the way they handle their finances and get them out of debt. Find out more about debt counselling for employees. The main thing you need to remember is that you need to treat the symptoms as well as the cause of financial stress to ensure employees are happy in the workplace. At the end of the day, investing in your employees’ happiness will boost your business. Listen to what Annaline van der Poel from Debt Rescue had to say on Business with Bunny. 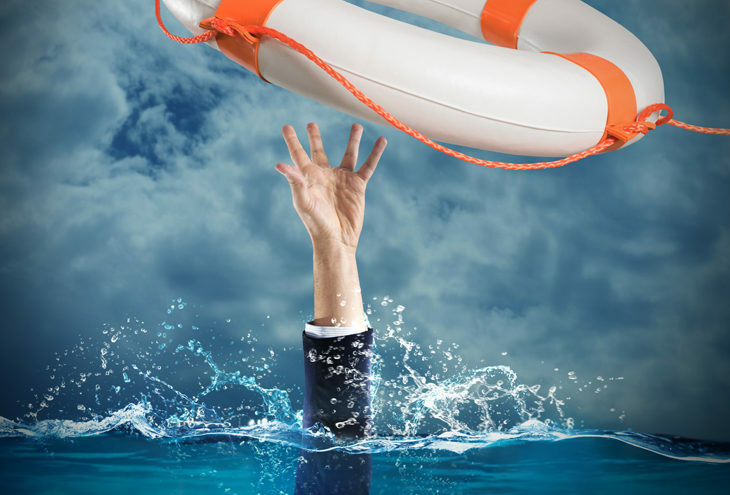 Let Debt Rescue help you look after your employees. Contact us for more information.